Alaska Primary Results: If Joe Miller Pulls Out Win Over Lisa Murkowsi, Will Alaskans Really Turn Backs on Federal Government Largess? 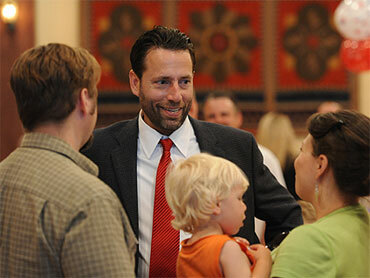 Joe Miller, the Tea Party and Sarah Palin-backed lawyer and military veteran who may be on the verge of a shocking upset victory over Sen. Lisa Murkowski in the Alaska Republican Senate primary, is an unblinking conservative who believes "ObamaCare" and cap and trade legislation are unconstitutional and wants to eliminate the Department of Education and phase out Medicare and Social Security. He has also taken a strong position when it comes to earmarks and what he sees as irresponsible federal government spending. "This concept that we have of senators and representatives being elected to bring back the pork is the reason that were at the point were at," he argues. While that position may fit well with the Tea Party orthodoxy, it is somewhat striking coming from an Alaska politician. That's because despite the rugged individualist image of the state, it is a massive beneficiary of federal government largess. Through May the state had taken in over $3,000 per capita in stimulus money, more than any other state by far and more than double the national average, as the New York Times reports. It has a lower unemployment rate than the most states in large part because of all the federal money. Federal spending there is 71 percent higher than the national average. Alaska's politicians have long taken pride in bringing home the federal bacon. Former Sen. Ted Stevens, a Republican, was known for being unabashed about bringing a steady stream of federal money back home, and Murkowsi landed a seat on the Appropriations committee that allowed her to steer money back to her state. There has long been a disconnect in Alaska between the rhetoric and reality in a state where lawmakers rail against the stimulus bill before taking what some see as more than their fair share of it. Republican state lawmaker Carl Gatto's comment to the Times is telling: Though he wants to "roll back the federal government," he admits: "I'll give the federal government credit: they sure give us a ton of money. For every $1 we give them in taxes for highways, they give us back $5.76." "We Alaskans have a fierce independent streak, fiercer than you can measure in a poll," Matthew Felling, anchor at CBS Anchorage affiliate KTVA, told Hotsheet. "And while the federal funds coming to Alaska are either welcomed or permitted -- depends who you're talking to -- the demands or strings that come with them are seen warily." If Miller gets to the Senate, watch to see whether he follows through on his promise to move away Alaska from being what critics have deemed a "welfare state" or instead keeps steering a disproportionate share of federal government money to his state even while railing against federal government spending. Rick Scott Win: Bad News for Republicans? McCain Wins GOP Nomination for Senate in Ariz.